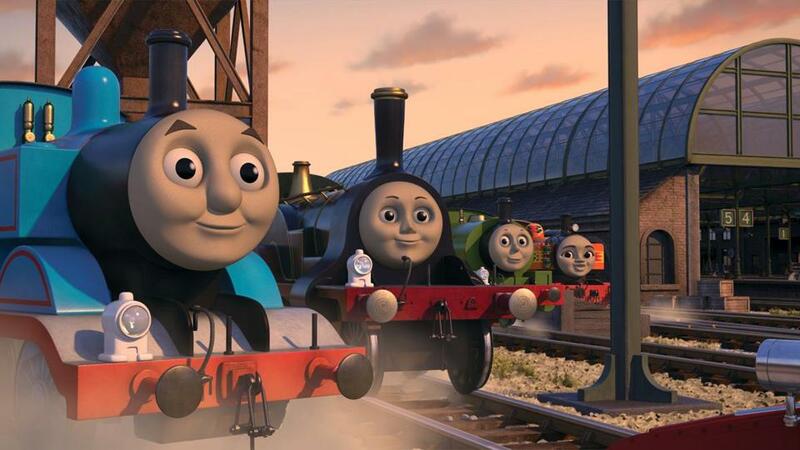 Thomas the Tank Engine and some of his friends. NRA spokeswoman and perpetually annoyed older sister from a John Hughes movie Dana Loesch went off the rails this week after hearing that Mattel, the company behind Thomas the Tank Engine and his fleet of transit-oriented toy friends, was teaming with the United Nations to increase diversity among the show’s characters and educate families about “Sustainable Development Goals.” So steamed was Loesch about the introduction of a Kenyan steam engine named Nia that during a segment of “Relentless” — her NRA program for adult children — she railed against the initiative and aired an image of Thomas and his friends donning KKK hoods and riding atop burning train tracks. (Because. . . what?) “Thomas the Tank Engine has been a blight on race relations for far too long,” she Loesched aloud, sincerely believing she’d made a cogent point. Early reports say next episode she’ll be calling ICE on Dora the Explorer. Shout out to Kevin, the storm-beaten American flag that pulled a full-on William Basinski during Hurricane Florence. Conspicuously positioned center-frame in a webcast from a decommissioned Coast Guard light station off the coast of North Carolina, Kevin (as the flag was nicknamed for some reason) weathered the weather as best it could, attracting millions of eyeballs and hashtags (e.g. #StandWithKevin) as Florence’s violent winds tore it stripe from tattered stripe. It also attracted a ton of really softball metaphors about the state of American politics. The next morning, Kevin was all but gone (though “reports of my death have been greatly exaggerated,” it tweeted); but the memes, the memes were still there. And speaking of things that give you a little bit of hope for this place, I was watching “Ellen” in my new bathrobe the other day (that’s not the inspiring part) and Ellen welcomed Mary Halsey of Rhode Island — who went viral a few weeks back for her smoldering performance of Missy Elliott’s canonical rap “Work It” at a family cookout — to relight the fire under America’s grill with her national television debut performance. Halfway through the verse, who comes strolling out but Missy herself, and (while I was screaming) the two joined forces for a few lines and collapsed into a tender embrace. (“I just found out I have a FUNKY WHITE SISTER!” Elliott later tweeted.) It was the kind of moment that makes you think anything is possible. Like getting a massive coffee stain out of a new bathrobe.